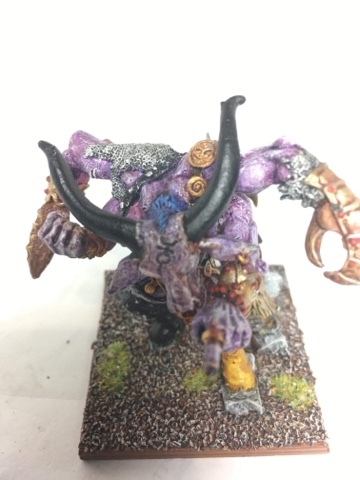 This is the first greater daemon of Slaanesh I remember being released and is one of my favourite minis of all time. This range was not constricted by GW's current pg rating and captures the pleasure and pain aspect of the slaves to darkness era. I guess you could say this mini also pre dated the cisgender definition that we now use. 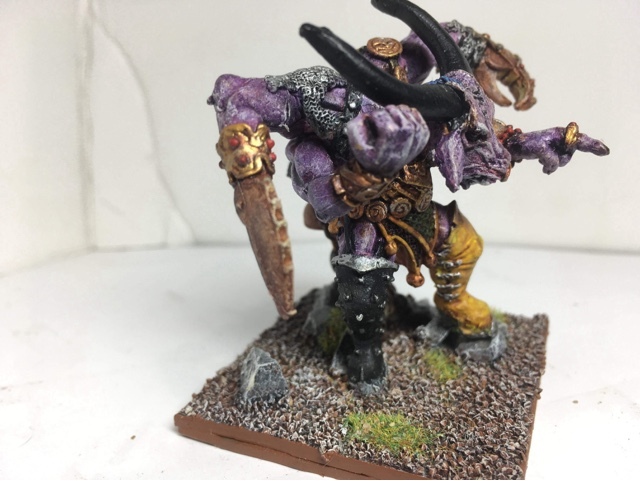 Paint job was done about ten years ago inspired by a 40k Slaanesh force in an old white dwarf. 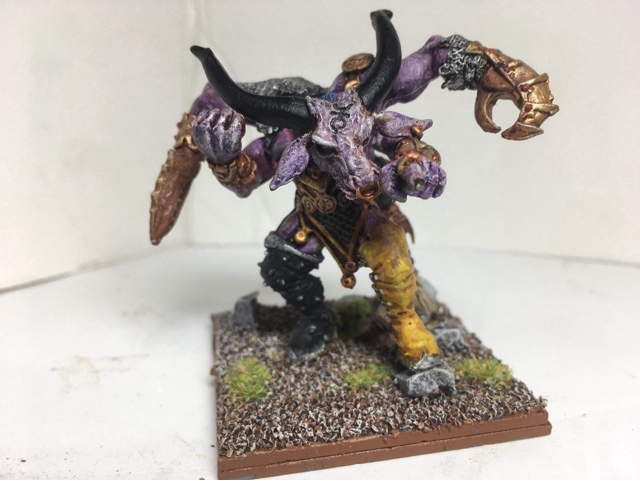 Play style wise I used him/ her throughout 7th and 8th edition as a combo magic lord and combat monster before the times of end ruined the old world. 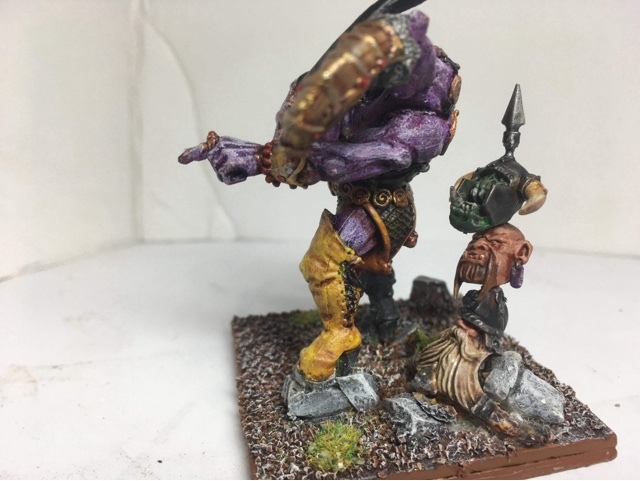 The combination of the old Slaanesh spells and a couple of nasty upgrades made him/ her hard to kill if I made it into combat but I have lost count of the number of times he/ she received cannon balls to the face.